Pulsair the word leader in tank mixers, presents the new programmable tank mixer. 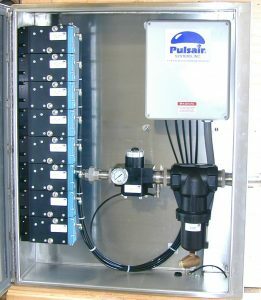 Pulsair offers custom programmed PLC based controller for customers who need additional mixing technology for single or multi-tank mixing systems. 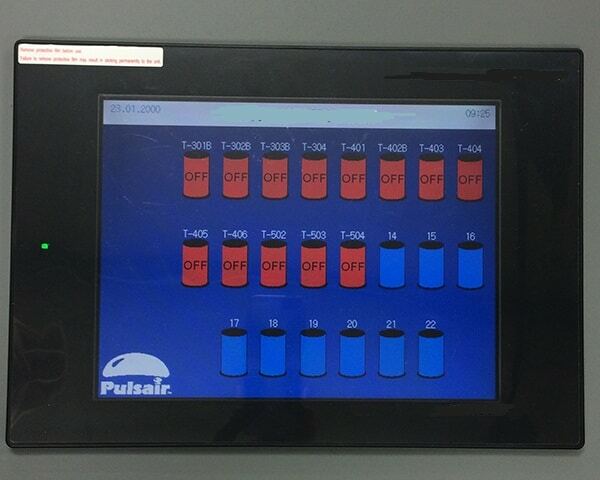 Users can control the mixing in up to 48 tank from a single Pulsair PPC controller. 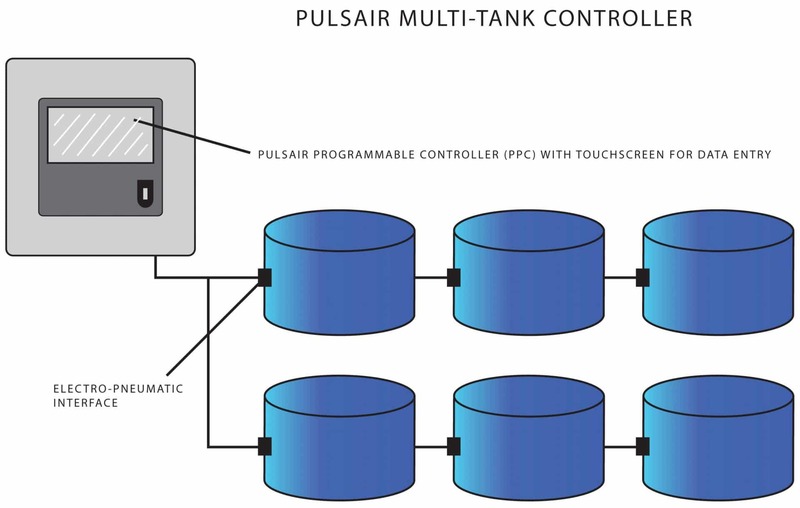 The Pulsair Programmable tank mixer controller (PPC) was designed to give customers precise tank mixing options for multiple tanks from a single touchscreen controller. The programmable tank mixer can be programmed from a graphic operator terminal or touchscreen for data entry. The mixing parameters such as pulse rate and injection time can be set from the touchscreen. 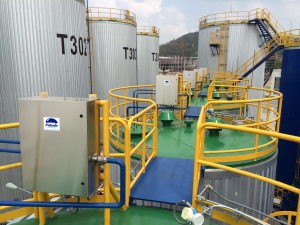 Therefore, the PPC communicates with the injection valves located at each tank that are housed in a stainless steel weatherproof enclosure. The injection valve fire to release large compressed air/gas bubbles through a series of air lines that are attached to flat rounds disks called accumulator plates attached to the tank bottom. The rising air bubbles mix and blend the respective liquids quickly, efficiently and require zero in-tank maintenance after installation. For over 30-years, this powerful and innovative mixing technology has proven to work in a wide variety of mixing applications that include liquids with high solid contents and thick, high viscosity liquids.